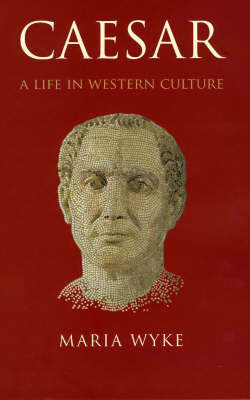 More than two millennia have passed since Brutus and his companions murdered Julius Caesar--and inaugurated his legend. Though the assassins succeeded in ending Caesar's dictatorship, they could never have imagined that his power and influence would only grow after his death, reaching mythic proportions and establishing him as one of the central icons of Western culture, fascinating armchair historians and specialists alike. With Caesar, Maria Wyke takes up the question of just why Julius Caesar has become such an exalted figure when most of his fellow Romans have long been forgotten. Focusing on key events in Caesar's life, she begins with accounts from ancient sources, then traces the ways in which his legend has been adapted and employed by everyone from Machiavelli to Madison Avenue, Shakespeare to George Bernard Shaw. Napoleon and Mussolini, for example, cited Caesar's crossing of the Rubicon in defense of their own dictatorial aims, while John Wilkes Booth fancied himself a new Brutus, ridding America of an imperial scourge. Caesar's personal life, too, has long been fair game--but the lessons we draw from it have changed: Suetonius derided Caesar for his lustfulness and his love of luxury, but these days he and his lover Cleopatra serve as the very embodiment of glamour, enticingly invoked everywhere from Caesars Palace in Las Vegas to the hit HBO series Rome. Caesar is the witty and perceptive work of a writer who is as comfortable with the implications of Xena: Warrior Princess as with the long shadow cast by the Annals of Tacitus. Wyke gives us a Caesar for our own time: complicated, hotly contested, and perpetually, fascinatingly renewed. "Wyke has gathered together a splendid array of Caesarian traditions, reminiscences, and arguments in Western culture, high and low. . . . The material assembled in Caesar will warm the hearts of many students of the ancient world, with its repeated demonstration that Caesar's career has made such an impact in so many different media over the last two millennia." --Mary Beard "New York Review of Books "